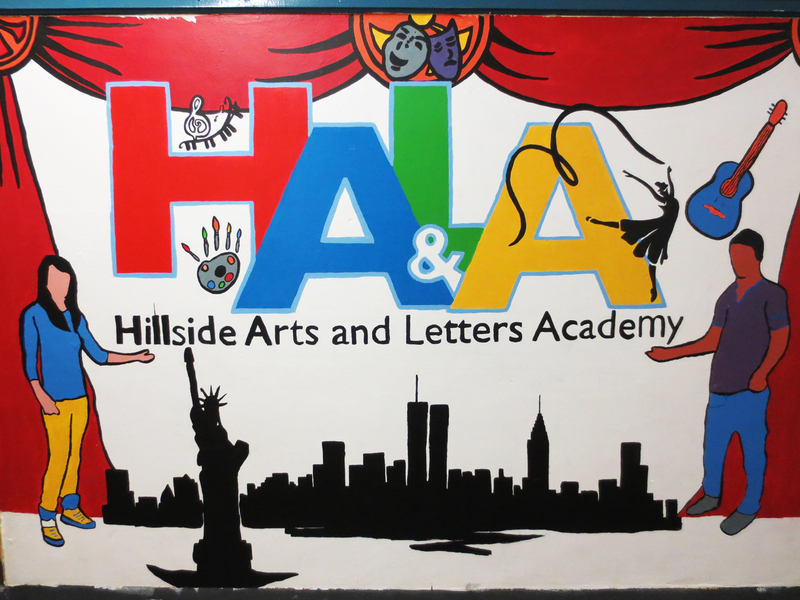 I recently completed another energetic Artist Residency with the HALA (Hillside Arts & Letters Academy) High School students in Jamaica, Queens last month. 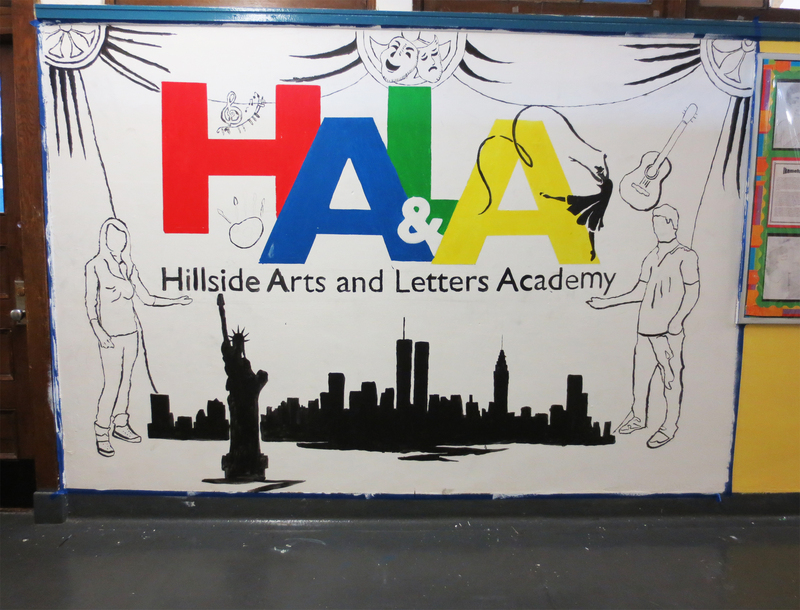 We painted another large mural putting a thematic emphasis on the urban landscape, a “welcome to all message” and a re-emphasis on the arts platform in HALA’s creative learning system. 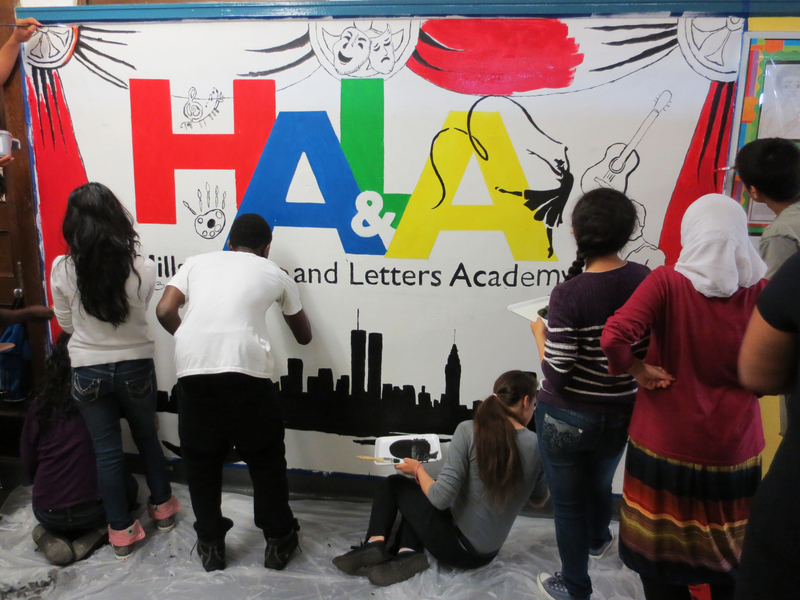 I am so grateful to be a part of HALA’s creative growth, they just completed their 3rd full academic year. This means that next June their first senior class will graduate. 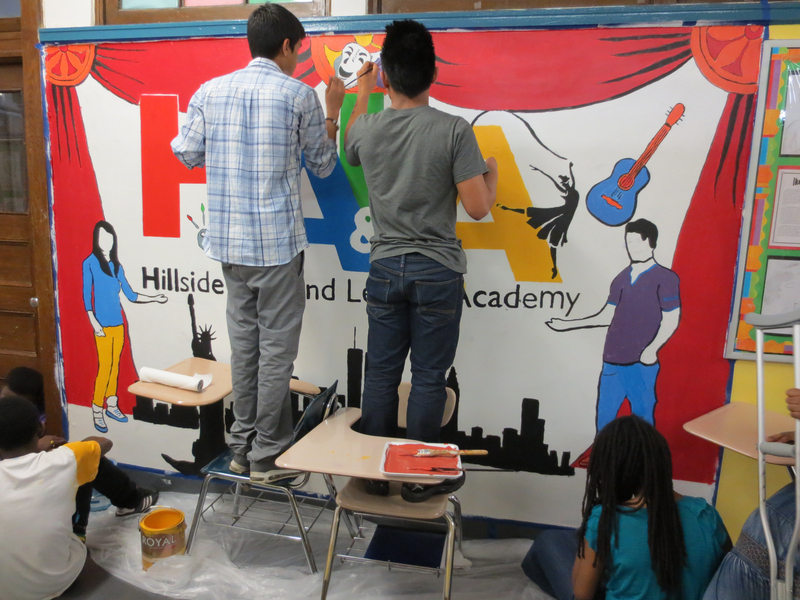 Over the last three years we have created a new school logo and branding, had a silk screen t-shirt printing design contest and workshop, and now, there are three beautiful murals gracing the school’s hallways. What will happen next you may ask yourself? 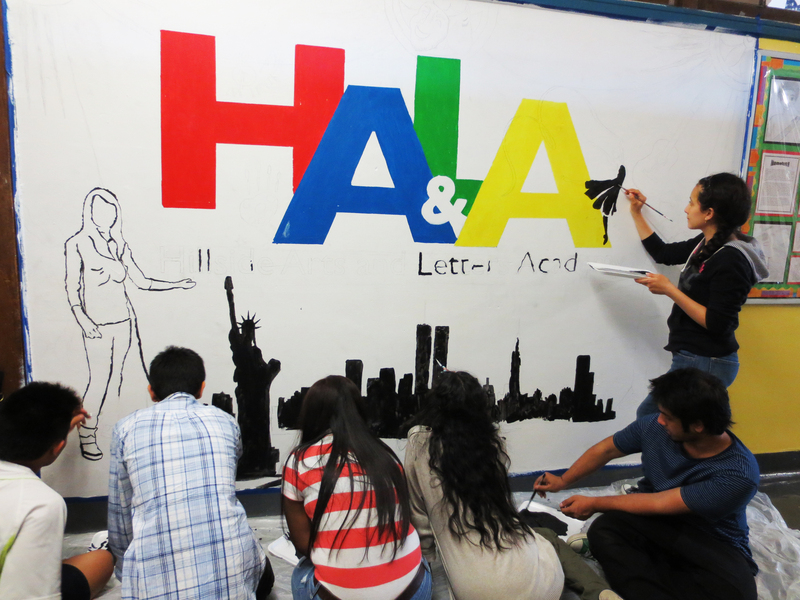 Stay tuned as the creative energy is powerful here at HALA. The image above shows the space on the day that we re-primed the wall. 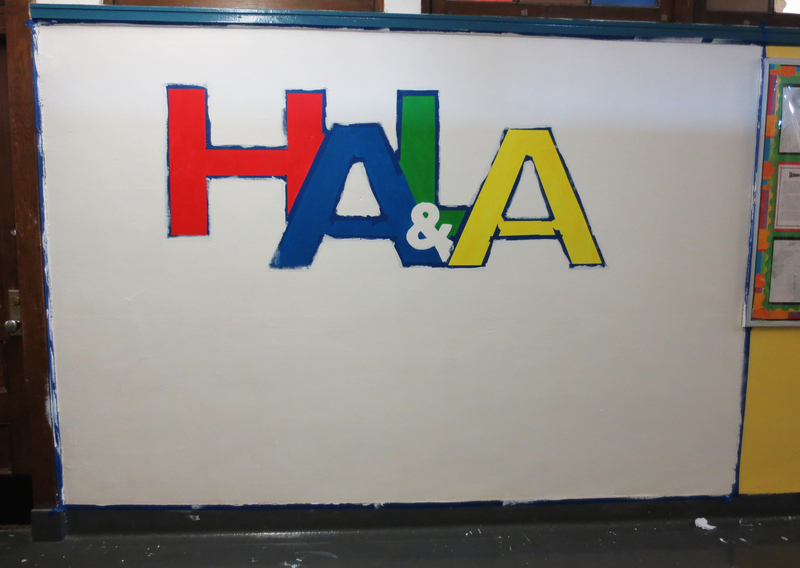 3 years ago students painted the new logo onto this wall but noticed it has weathered quickly. 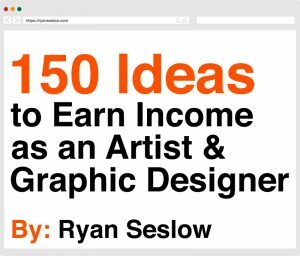 They also felt that this would be a great opportunity to illustrate and communicate more of what the logo encompasses visually. I agreed 100% and to work it was. 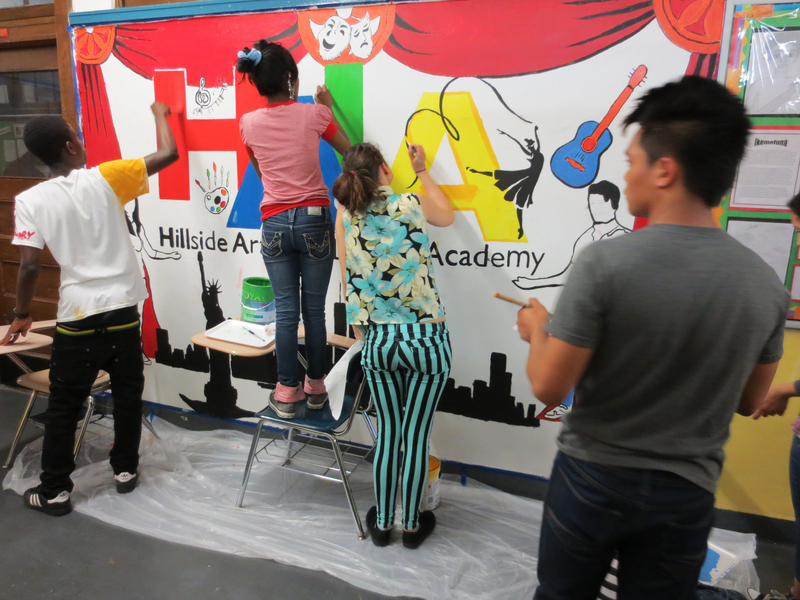 Much like our first mural project, we started with a series of brainstorm sessions. We collected words and then turned the words into sketches. Students were interested in creating a more graphic type of image this year. 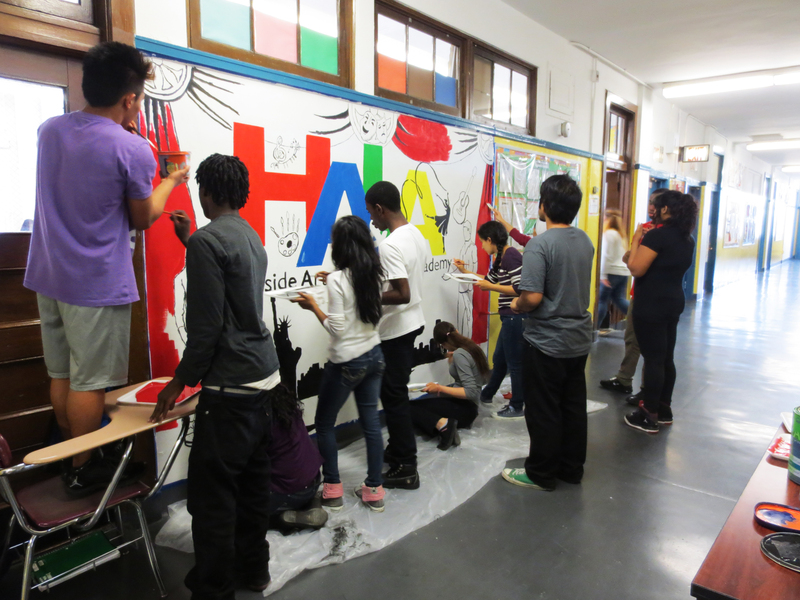 Last years mural referenced the artist Keith Haring, but this year the students wanted to personalize the piece with their own imagination and stylization. After collecting a series of sketches and interpreting our dialogs, a student named Jaichan presented this graphic image he designed to the group. everyone loved it. Although we all felt that the lad on the left looked a bit young, so we gave both characters an upgrade. 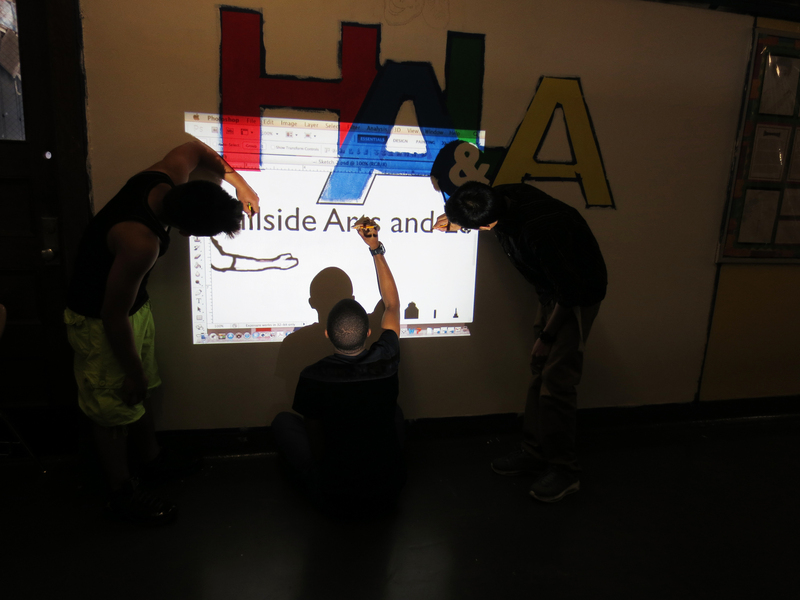 The students wanted to retain the integrity of the graphic image so I suggested that we use a data projector to recreate the image onto the wall. 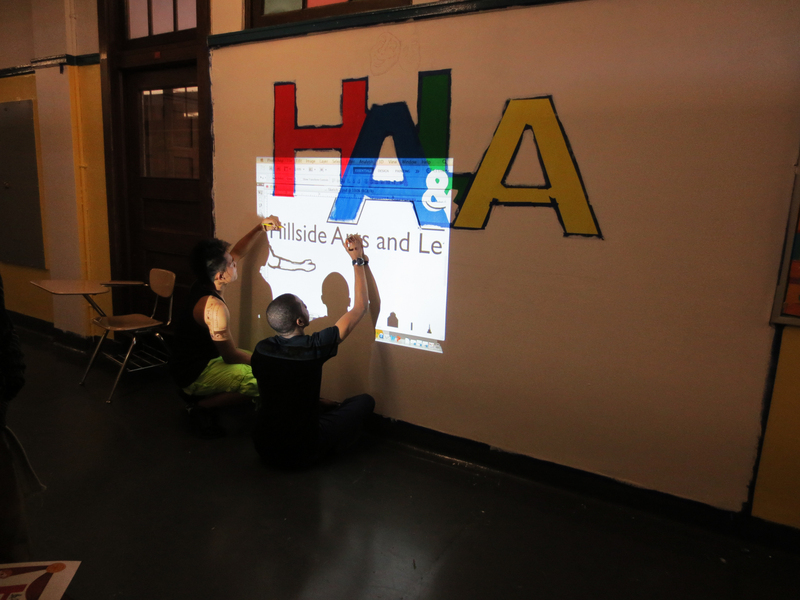 Here we see some of the students tracing the outlines that would help us identify where to start painting. 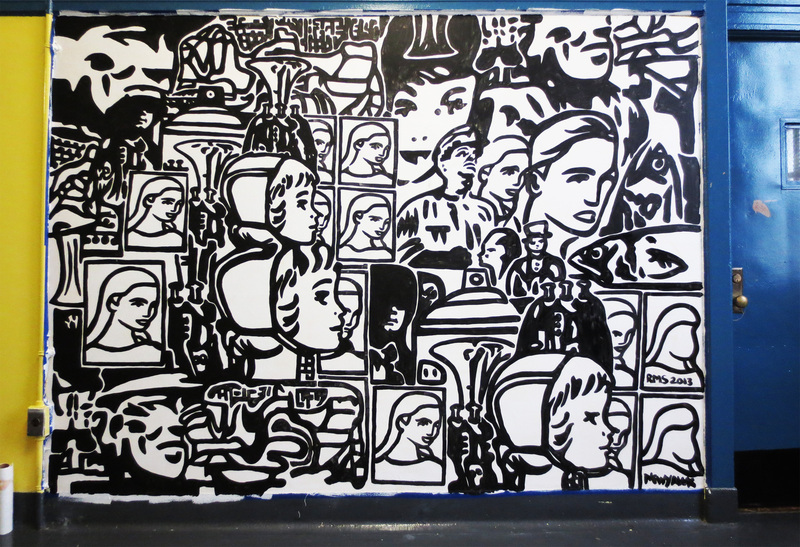 Students captured here laying down a light outline in black. This helped separate areas into forms and shapes. We had a great diversity of talent and skill on hand. Some of the students wanted to work mainly with the outlines while others were only interested in filling in shapes with colors. 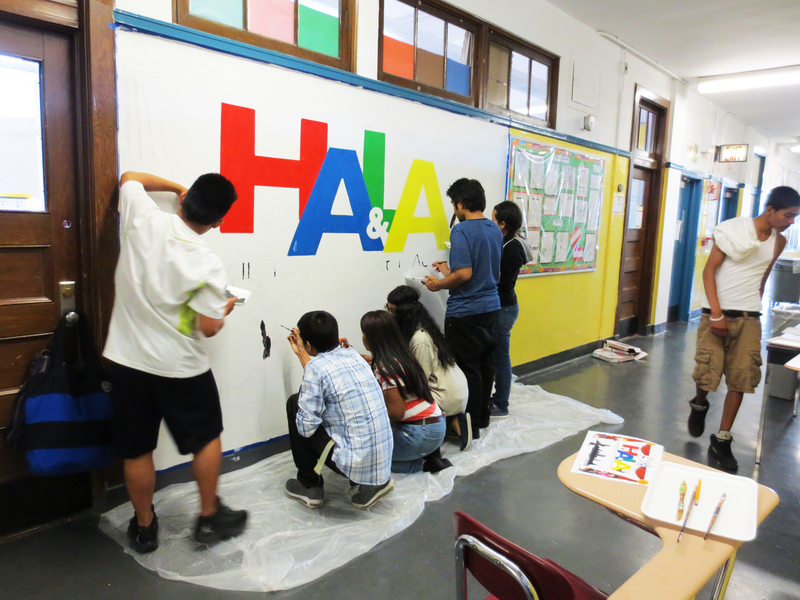 Compared to last years mural project, this space was a little tighter to work in. Students felt the limitations of working in a tighter space. We all had to acclimate and compromise with delegating the space efficiently. A great exercise and contrast for sure. After 4-5 solid work sessions the outlined composition was in place. The use of scale and content balanced itself well in the allotted space. It was evident that the next step would be solidify the piece. Colors we mixed and applied. Applying the color in layers. Students noticed that some colors were more translucent than others, so layers were needed to make them flat and solid. The final outcome! Thoughts? Share your feedback below. 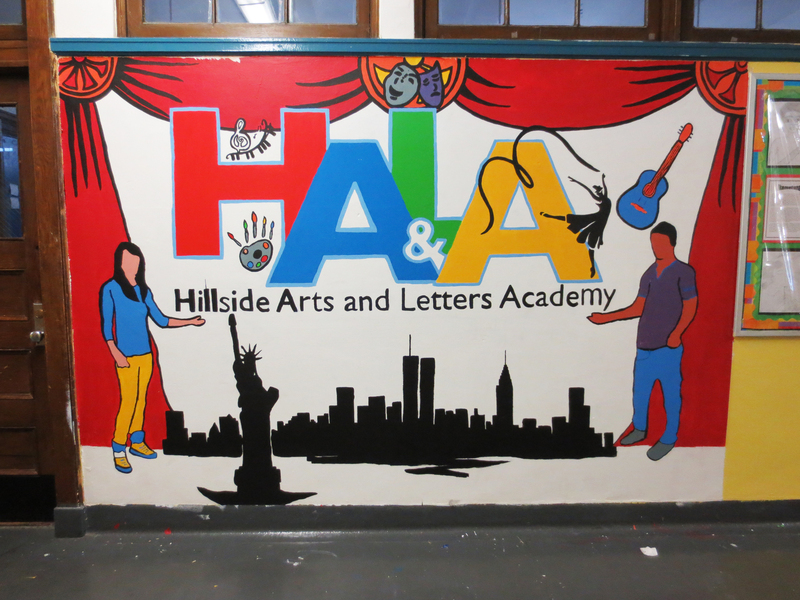 Special thanks to HALA principal Matthew Ritter and HALA’s art teacher Bethany Trust for their help and continued support!